Dr. Steven E. Jones is mentioned in connection with the so-called "cold fusion" debacle 11 minutes and 30 seconds into this program. This television show, being entertainment, is not necessarily to be taken at face value, but it does prompt certain questions of the sort that we should be willing to ask about anyone investigating the events of September 11, 2001. The fundamental question is: Just what is going on here? Lately, we have been somewhat astonished that Professor Jones is willing to appear on James Fetzer's radio program to endure his bullying antics. It begins to smack of the usual Hegelian discourse one would associate with party politics or professional wrestling. Is Jones so naive as to think he can have a dispassionate conversation with Batman Jim? Somehow, I doubt it. What we need to ask is: Is Steven Jones entirely on the level? I don't suppose this is going to win us any friends, but we must always remain dedicated to the proposition that 9/11 research is bigger than any one researcher. Nor does it necessarily negate Jones' findings with regard to how the WTC towers came down. What it shows is that we must examine all assumptions. Above all, we must think for ourselves. UTICANS FOR 9/11 TRUTH ON VYZYGOTH JAN 25th! This program is now available for listening or download HERE. Next Thursday, January 25, at 11 AM, Herb Smith and I will appear on VYZYGOTH'S "FROM THE GRASSY KNOLL" to discuss all the hidden (and not-so-hidden) agendas in the 9/11 Truth Movement--and whether 9/11 Truth itself is the malevolent corkscrew blade on the 9/11 Swiss Army Knife of Political Expediency. Most researchers into the events of September 11, 2001 can hardly believe their luck. "Look at that!" they will say, "Building Seven came down in an apparent controlled demolition without having been hit by a plane! These people must really be stupid to let something like that happen--going to all the trouble to plan the most elaborate false-flag terror operation in history only to give themselves away in a blunder of that magnitude!" So they gloat, knowing they have the goods on the evildoers. They tell everyone they know, and pass out homebrewed DVDs of "Loose Change" and "911 Mysteries" to bolster their testimony, all the while softly muttering, "How could they have been so boneheadedly arrogant to think they could get away with it?" That was us, too. But we had an epiphany, of sorts. Nine-eleven has served its perpetrators well as a Swiss Army Knife of political expediency. In the earliest "shock-and-awe" phase, it boosted the popularity of an unlikeable President, gave his administration and their backers the pretext for starting two wars in the Middle East, provided the rationale for new police-state-type legislation to increase social control through surveillance, fear, and inconvenience, and enabled the leaseholder of the property in New York to solve the problems of diminishing office tenancy, asbestos removal, possible galvanic corrosion, and an insurance policy that was burning a hole in his pocket--all at one throw. But inherent in the events of that day was the eventual uncovering of the cover-up, the unmasking of the Neo-Con criminals whose villainy would become known and reviled once the initial phase of objectives was achieved. These revelations are nigh. And the first pebble of the avalanche of truth and retribution will have been the "accidental" destruction of WTC Seven at the "wrong" time. Our epiphany: there are no "accidents" in politics. Ever. Especially as far as September 11, 2001 is concerned. The truth (or perhaps I should say the "truth") about nine-eleven will emerge in its due course as the script is played out to its well-plotted denouement. The only possible reason to have demolished WTC Building Seven was to let everyone know that They Did It. It was more than a wink and a nod, it was as if they were waving flags and firing signal flares at us. They did it to destroy some papers, and maybe some computer records? That would be easy enough to achieve without bringing down a 47-story skyscraper. A few shredders and a couple of new hard-drives would have been much cheaper. Even Dan "The Man" Rather said that day that it looked like a "controlled demolition." Counting on our National Cognitive Dissonance to keep that incongruity from registering for a few crucial years, even the most oblivious people now seem to sense that something was not quite right that day. And Building Seven is the Gateway. Also not to be underestimated is the Brolin Effect. James Brolin, who is married to Barbra Streisand, appeared on the ABC-TV program "The View" and came out in a big way for 9/11 Truth. Despite dirty looks from Barbara Walters and others in attendance, he managed to blurt out a very reputable web address: http://www.911weknow.com. This is the site associated with "911 Mysteries," the beautifully produced movie by Sofia Smallstorm on the destruction of the WTC. Brolin, in short, did not offer any limited hangout explanations of the 911truth.org ilk, but treated America to the Whole 9/11 Enchilada. All of this seems wonderful, of course. But remember, Mrs. Barbra Brolin is cozy as hell with the Clintons. And those who connect the dots (and there are so many to connect!) will recall that the Ma and Pa Bush have all but adopted Bill Clinton as the intelligent son they never had. Bill had his own major false-flag event at Oklahoma City, which could rightly be said to be the dress rehearsal for 9/11/01. As you scale Mount Olympus, you note that all Hegelian distinctions of Party and Philosophy (so troublesome on Earth) vanish as the Elite is revealed to be more or less One Big Happy Family. It's highly doubtful that James Brolin went off the reservation to rat on Barb's friends. As a sober man and true he was tapped to Enlighten the Masses. So why do they want everyone to know? Why are they furthering their own seeming downfall with each celebrity plumping for their exposure? The answer is that 9/11 Truth is as useful a tool in the hands of the Elite as 9/11/01 itself. It is the crowbar with which they intend to destroy our national government, and pry the last remaining shards of sovereignty from our hands. Have we been dupes all this time? Have we been patsies? Maybe. Probably. Yep. We insisted that we were Doing the Right Thing, just like all those loyal patriotic Americans who went to rallies in support of the troops and waved their flags and cheered as we bombed Saddam. The jingoists did their part, and played their roles perfectly sincerely--as do we. But we have been reading an improvised script that leads to the desired outcome because we have been picking up all the cues that were so conveniently dropped for us. Our big scene is about to be played, but the climax may not be what we were expecting. Part of the denouement has already come to pass. The Democrats have taken control of both houses of Congress, while the President seems to go out of his way to ensure that nobody likes him--or his Party. Despite the hubris and arrogance (not to mention the obvious crimes) of the "other" side, the Democrats are soft-pedaling impeachment. Both parties supported the Iraq War, and the Afghan War before that. As it becomes more widely known that the events of September 11, 2001 were a false-flag operation, the Neo-Cons will surface as the scapegoats, the New Osamas to detest. The ensuing trial (assuming there is one) will make Watergate look like a parking ticket. But the Democrats in all their pusillanimity won't fare much better. The government will limp along, wounded, begging for somebody to put it out of its misery. At this point, some International Body will step in and "save" us. And despite giving up our last vestiges of home rule, we will be so grateful. The Blue Hats are coming to a town near you! It's obvious we can't be trusted with such things--look at the "leaders" we "chose." This is the One World, New World Order that so many have been looking forward to. The Elites of all nations will thereafter cheerfully roll the dice on our heads as they hold us in greater sway. The World is their Casino, and the (former) USA will be their Baize. Does this mean that we should ignore what happened on September 11, 2001? By no means. Unspeakable crimes were committed that day, and we demand justice. But justice requires that the real culprits be brought forward to accept fair judgment. Before the Juggernaut of controlled public opinion is set in motion by the Media (the effective fourth branch of government), we want dispassionate examination of the evidence. We must not be vindictive, nor revel in further bloodshed. We know that we are likely to be unheeded as the country tears itself to pieces. This is our sorrow. Yet knowing this, and knowing that we are in some measure doing the bidding of those we most despise, we must uncover the truth. In death, one is remembered more fondly than in life. Therefore, the passing of Gerald Ford, 38th President of the United States, has provided an opportunity for pundits and public figures to wax nostalgic about The Healer. I’m not sure Ford healed anything. He was presented with a Deal-or-No-Deal, which he accepted. The Deal offered Ford the Oval Office if he would preside over the pardoning of Richard Nixon, which Ford carried out. The national nightmare, however, might have just begun. Here we had Ford as an unelected President and Nelson Rockefeller as an unelected Vice-President—a rather sad state of affairs for a nation that prides itself on the election process. Who or what offered Ford a deal? The same shadowy entity that killed Kennedy and found Nixon guilty of intransigence. “The Committee of 300 saw to it that Nixon paid a heavy price for . . . believing that he could now do without their help and backing, and even go against direct orders from above. . . . In essence, Nixon was spanked and told to go to his room in San Clemente. Ford was willing to play ball and pardoned Nixon, which made the whole Watergate mess go away. But this was not the first time Ford acted upon the wishes of his masters. DeLoach was third in command at the FBI at the time, but some sources claim he was the real power in the Bureau, not long-time boss J. Edgar Hoover. Fulsom concurred on the issue of Ford’s coziness with the FBI: “Gerald Ford was so close to Hoover that he served as the FBI director's informant while he was on the Warren Commission. This is confirmed by an internal FBI memo of Dec. 12, 1963. “Written to Hoover by his deputy Cartha DeLoach, it says: ‘Ford indicated he would keep me thoroughly advised as to the activities of the commission. He stated that would have to be done on a confidential basis; however, he thought it had to be done.’ The Washington Post disclosed the memo in 1991. Newsweek had earlier described Ford as ‘the CIA’s best friend in Congress’. . . . Therefore, Ford, having performed yeoman duty in the assassination cover-up, once again answered his masters’ call in turning the spotlight off the Nixon bullet-less assassination. Ironically, Ford himself would be the target of two very real assassination attempts, one at the hands of Charles Manson Family member Squeaky Fromme and, 17 days later, another by Sara Jane Moore, who was reported to have been a neighbor of Manson in West Virginia. The benefactor of Ford’s assassination quite possibly could have been Nelson Rockefeller, whose family has held considerable sway in West Virginia for a century. Nelson’s nephew, Jay, has been a prominent West Virginia politician since 1977, first as governor and later as U.S. Senator. Mount Weather, an underground facility built to house the President and essential personnel during a national catastrophe is in West Virginia. It is also likely that, if Ford had been assassinated, Nelson would’ve been moved into the Presidency with Daddy Bush named Vice-President, giving him a leg up on Ronald Reagan in the Republican Party. Instead, Ford survived and Rockefeller dropped out of national politics after his stint as Vice-President. In 1976, charter Trilateral Commission member Jimmy Carter was backed by TC chairman David Rockefeller to become the Democratic Party’s Presidential candidate. Carter was uncannily successful in the primaries and went on to beat Ford in the election. Four years later, Reagan had risen above Bush in his potential Presidential electability and indeed became the GOP candidate. Reagan, who was no friend of Bush, was forced to take Bush as his running mate. Two months into his Presidency, Reagan was shot by John Hinckley, the younger son of the same Hinckleys who were big backers of Bush. The older Hinckley son, Scott, was an associate of Neal Bush in Colorado. The very day Reagan was shot, Bush and Al Haig—who along with Henry Kissinger did their bit to destabilize Nixon into believing a botched burglary would lead to the latter’s impeachment—declared there was no conspiracy behind the assassination attempt. And you can probably guess who really was President during Reagan’s reign. 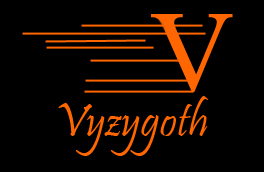 UTICAN FOR 9/11 TRUTH ON VYZYGOTH WEDNESDAY! UPDATE: This program is now available for download HERE. I will be appearing on Vyzygoth's FROM THE GRASSY KNOLL Wednesday at 11:00 AM (with archives soon to follow) to discuss new assertions that Flight 93 was indeed "shot down"--and the earliest reported eyewitness evidence that shows that that couldn't possibly have been the case. Flight 93 is an enigma--and we will fathom why it is likely to remain so. Our year-end kudos for science fiction fantasy must go to Professor James H. Fetzer, the man who put the "high" back in "hyposthesis." He now postulates that space weapons destroyed the Murrah Building in 1995, he vehemently goes to bat (again) for Reynolds and Wood, and seriously considers ALL the possibilities (including "solar power") in order to be true to the Spirit of Science. Ground Control to Major Jim: Do us a favor and take a vacation. Please.